I am sorry for my lack of blogginess readers. I wasn't planning on taking a mini hiatus but well, it happens. No need for apologies I know, but I miss you when I'm away from my computer. I can't believe how much blogging has enriched my life. I think it's become more than a hobby of sorts - I truly feel like I've found a home here and I just wanted to thank you again for being so kind and supportive. Did you all have a wonderful Christmas? Mine was pleasant, but I feel like I've gained a million pounds! All of the goodies that my boyfriend's family made has spoiled me rotten. That coupled with that fact that I haven't worked out since I bruised my tailbone is forcing me to place "Work out, eat healthy" on the top of my New Year's resolution list. Typical, right?! I bought these at the Bellagio in Las Vegas. My first Chanel purchase! It was difficult bypassing the gorgeous quilted bags, but I can at least afford a pair of gorgeous quilted earrings. 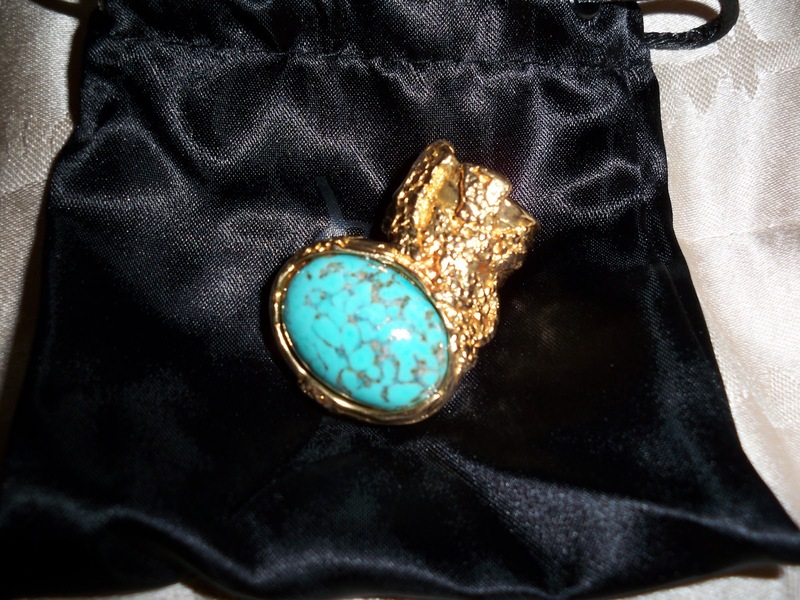 The YSL Arty Oval Ring in turquoise. I couldn't be happier with them! My plan is to buy a pretty, old-fashioned jewelry box to store my treasures in. Did any of you buy anything for yourselves this Holiday Season? I couldn't resist! AHHHHHH!!!! LOVE that ring!!! Can't wait to see it on you!!!! Excellent choices! I always think that at the end of the year there is nothing wrong with gifting yourself with something. After all we work hard and all our money shouldn't be going to bills! As they say, pay yourself first! Adorable! Love the stud earrings! What great purchases! A coworker of mine has those earrings and they are just gorgeous. in person. Your welcome love! You deserve it. You are a great writer and you should indulge in your passion for it. Keep up the good work, Merry belated Christmas darling! Christina: I hope you had a wonderful Christmas too! Natasha: Thank you, I'm sure you love yours as much I love mine! Natalia: Thank you sweetie, I agree! I hope you gifted yourself with something special this year. Cupcake couture and sugar sugar: Thank you girls! Kristen: Thank you, they definitely do look better in person! E manticoff: That was so sweet of you, thank you for the shout-out once again! Crystal: Thank you. I want to see your haul that you mentioned on your blog! Amazing finds- they will last you for a lifetime :) happy holidays! Oh those are beautiful!!! Great choices!! Also your trip to Vegas sounded wonderful. it seriously is gaining ground on my list of must visit cities! Linda: Thank you! This is why I splurge sometimes - I want pieces that will carry me through seasons, regardless of trends. When it comes to jewelry, simple studs and a big funky cocktail ring are must haves! She walks iin beauty: The YSL box was very pretty, and it is housing my ring until I buy a vintage looking jewelry box! The YSL box is white with black cursive that bears the name Yves Saint Laurent. I actually did take a picture of it but I didn't include it because I thought it was unnecessary to show ;) It is very plain. Andee: Thank you sweetie, same to you! Nikosmommy: Oooo, have fun on your trip! I actually bought the Arty here in Ca, at the YSL boutique in Orange County. 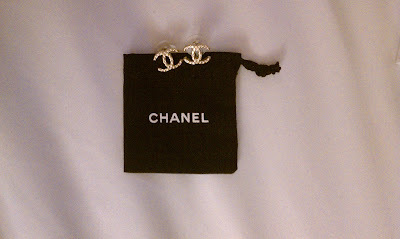 But, there IS a YSL boutique at the Bellagio in Vegas, only a few short steps from where I bought the Chanel earrings. I bet they have some! Good luck! I like your earrings,and the small size. I bought a similar pair from Chanel years ago but I gave them to sister recently as they are a bit to big.